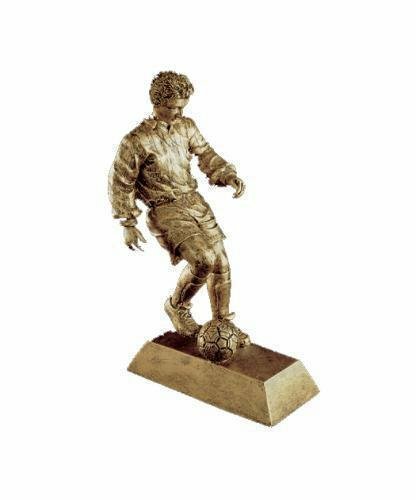 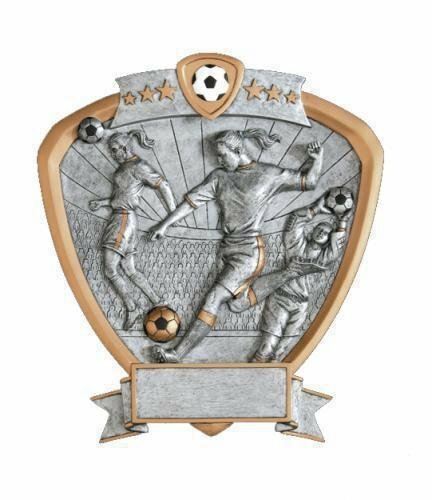 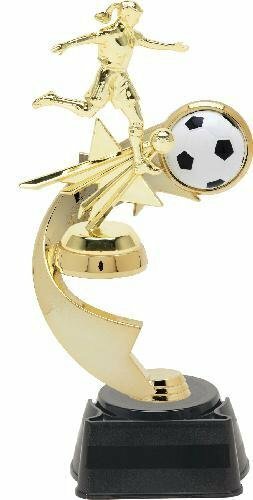 The female soccer all star figure that tops this trophy is shown in full stride getting ready to kick that winning goal. 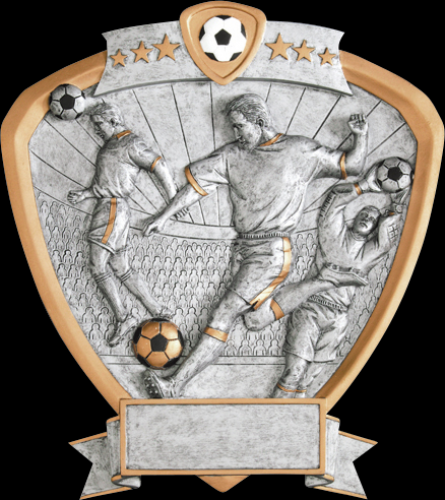 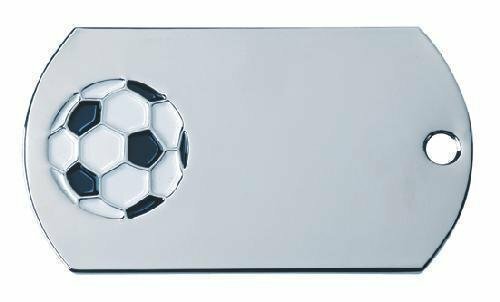 The full color, black and white paneled soccer ball in the middle of the riser sets a dynamic tone for the overall award. 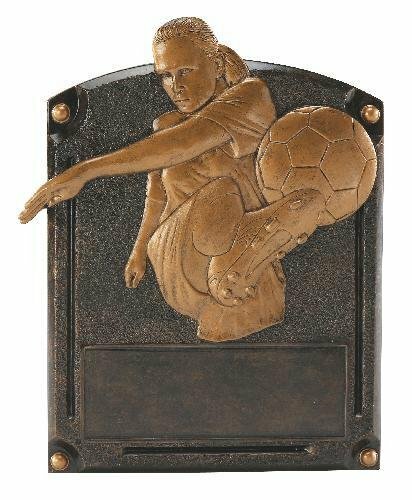 The rounded and tall black marble color finish base completes this award that has plenty of room for any of your personalization needs.